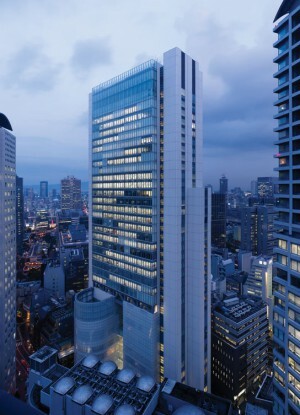 The Breezé Tower is one of the first environmentally friendly skyscrapers in Japan, with a double-glazed façade that allows for natural ventilation of the interiors.The design concept is conscious of the existing, tightly-packed buildings surrounding and thus creates an independent, free-standing building that rises up above the dense neighbors with a nine-story podium. This podium contains an impressive multi-functional opera and concert hall for 960 people, restaurants and conference facilities, as well as a central mall which is an important new pedestrian connection. The resulting public spaces around the tower create room for public interaction. This approach is unique in the area and provides the development with a special noticeable quality. The sustainable building services design reduces energy requirements and the need for building technical equipment by the prefabricated façade permitting natural ventilation during the transition months of spring and autumn. 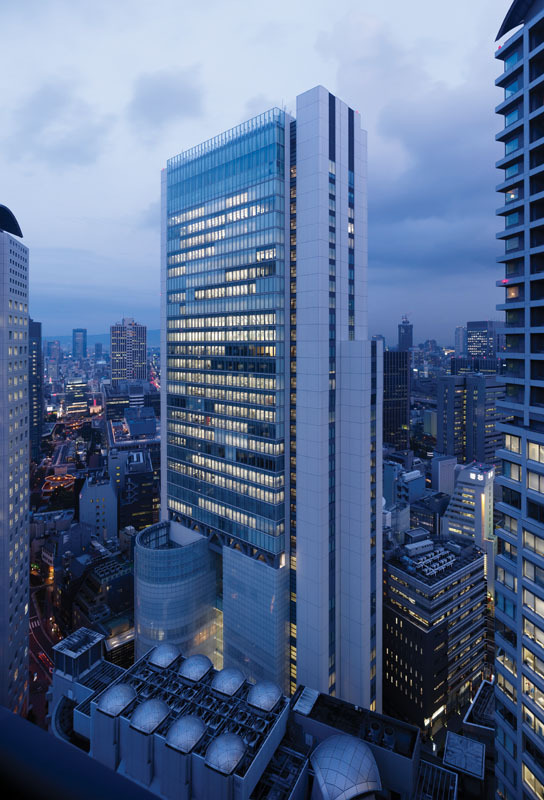 The independently articulated lift cores and circulation structures connect with the main office tower at either end, rooting the building in the ground.